The Annual general meeting of Indian Nurserymen Association was held on August 13th, 2016 at Bangalore. The programme was well attended by the senior nurserymen from all parts of India. 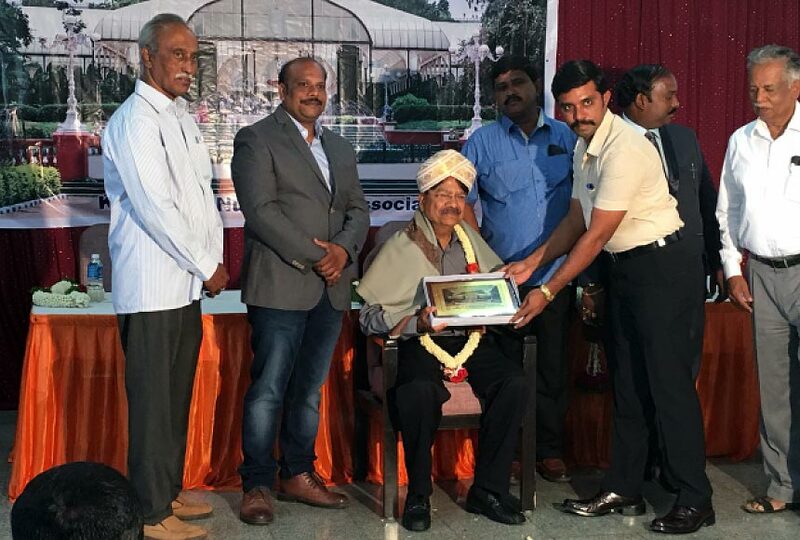 The important feature of the programme was the felicitation of nurserymen for their long life contribution to the sector, with the title of Lifetime Achievement Awards and awards for other categories to the ones performing well in their respective fields. Mr. Satyendra Kumar Gutgutia (Chairman, Florance Flora group) was also felicitated at this event.This was an honour to Florance Flora towards its contribution to the industry of floriculture over the years. Nurseries from all over india were present at this event. Nurserymen discussed the problems they faced currently in this scenario, such as electricity issues, water plant clearances etc. A large number os first time visitors were seen to be attending this year’s event. Our interactions with various new growers seemed positive and promising for future business. Post the event, a dinner was organised by Florance Flora at the Bangalore International Hotel. Around 60 nurserymen attended the informal dinner event. This response was overwhelming and allowed nurserymen to interact with each other in a more casual manner, strengthening business relations.